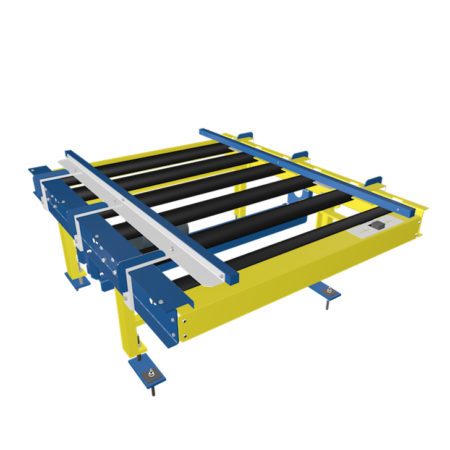 Where no corridor-free conveying is required for assembly lines, picking, shipping areas or for linking production and storage areas, roller conveyors offer you an interesting and affordable alternative. The transportation range also serves as a buffer area, thus ensuring optimal use of the available space. Drive elements Three-phase current geared motor drives the roller conveyor via chain or toothed belt with the tension unit easily accessible from the outside. According to customer requirements, rollers are driven via chain or toothed belt. Contact us to receive a free and non-committal consultation. I agree to the use and storage of my data.